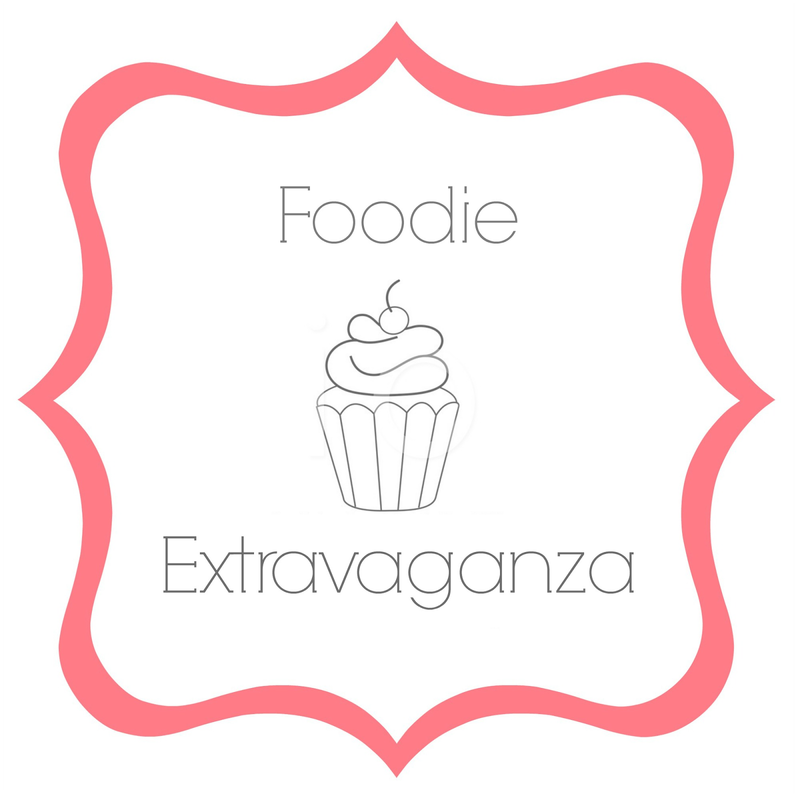 This is my first month participating in Foodie Extravaganza, and I'm so honored to join this fabulous group of bloggers! So, welcome to today's extravaganza, and also welcome to the first day of October! Good grief - where has this year GONE?! I always say - once you hit October the year is essentially over. You roll from one Holiday into the next and before you can blink, it's time to put the Christmas tree away and welcome in the New Year. What an amazing year it has been - I am looking forward to the upcoming Holiday season, and to kick that off it is fall baking season! What better way to get the fall baking season going then to incorporate some delicious apples into this month's selection of pretzels! If you are a novice boiled frosting maker (or novice "soft-ball" stage sugar cooker) like me - I highly recommend that you take a look at this video first. I wasn't sure what I was doing, at all, and whisked my cream / sugar mixture which caused the frosting to "sugar". It was grainy, but still delicious. :) I used the full frosting recipe (linked below) and used most for a cake that I'll be posting soon (yumm!) and used the rest to dip these delicious, soft, chewy apple cinnamon pretzels in! The dough was a little difficult to roll out with the bits of apple, but just do the best you can - you'll loose some when you're rolling, and again when you boil them, but you'll still have some yummy tender bites of apple to enjoy mixed into the soft, buttery pretzel dough. I have actually never done boiled pretzels before! I used to make pretzels in high school ALL the time - I would take them and sell them occasionally at events for a little extra "fun money". This is when we lived overseas in West Africa, so soft pretzels were a big treat for all of the Americans who were living there and didn't typically have access to those types of treats which reminded them of home. Those pretzels were just allowed to rise after being shaped, then egg washed, salted, and baked. I remember our tiny little kitchen, already hot thanks to the Africa heat, getting practically unbearable especially with almost no real ventilation - but I had such a good time baking! Big thanks to my mom who tolerated my "hobby" even then! So, this was a learning experience for me all around, and one everyone in the house enjoyed. This entire recipe disappeared in about 24 hours flat, and I only ate one pretzel. My husband and son ate the rest, and my daughter got a few bites in too. :) My son said these really needed the frosting as the dough was on the bland side by itself. I think that is largely because I didn't salt the tops of these before baking, but since they were meant to be sweet pretzels I left the salt off. I think they would probably be really good if you dipped them in melted butter then some cinnamon sugar after baking! The original bake time of 12 - 14 minutes on the parchment paper resulted in soft, chewy pretzels. If you like yours to have more of a firm crust, allow them to bake longer, or even move them from the baking sheets directly onto the rack for a few extra minutes to get crispier all around. My husband liked the very soft, chewy crust, and I liked mine a little crisper! To make the dough, combine the water, sugar, salt and yeast in the bowl of a stand mixer fitted with the dough hook attachment. Blend gently with a spoon or whisk until combined and allow the yeast to proof (let it sit for about 5 minutes, or until the surface looks foamy / bubbly and a little puffy). Add the flour, cinnamon, and melted butter and mix until the dough just comes together. Turn speed up to medium and allow the dough blend until it is smooth and clears the sides of the bowl, about 5 minutes. Remove dough from bowl and scrape out any dough / flour from the bottom. Pour a little vegetable oil in the bottom of the bowl and return dough ball to bowl, flip over so both sides are lightly coated in oil. Cover the bowl with a kitchen towl and allow to rise in a warm place (I usually leave mine on top of an oven that I have pre-heated to 350 degrees and then turned back off). Prepare 2 baking sheets by covering with parchment paper. When the dough has risen, punch down, add in the apple pieces and divide into 8 sections. Working one piece at a time, roll the dough into an approximately 24" long rope. Make a U-shape with the dough, and holding the ends of the rope, cross them over each other and onto the bottom of the U-shape to form a pretzel. Transfer the pretzel to the baking sheet and repeat with the remaining dough. Allow dough to rise again for about 25 minutes. Meanwhile, preheat the oven to 450 degrees and prepare the water to boil them in by pouring the 10 cups of water into a large pot with the baking soda. Stir to combine, and bring to a boil when the pretzels have become puffy. Working 1-2 pretzels at a time, place into the boiling water and boil for 30 seconds, flipping once. Use a slotted spoon or skimmer to remove the pretzels from the water and transfer to paper towels and allow to drain and remove excess moisture, then move them back to the baking sheet. Repeat with all the pretzels. Melt 2 TBS of butter and brush the tops of all of the pretzels (sprinkle with a touch of cinnamon sugar or salt if desired - or you can add some cinnamon sugar after baking if desired). Bake for about 12 minutes in the preheated oven or until golden brown, and to desired crispiness on the outside. If desired, brush with an additional 2 TBS of butter and allow to cool on a rack (you can also brush with butter and then dip in cinnamon sugar if desired). Serve with caramel cream cheese frosting for dipping. Check out all the Delicious Pretzel Dishes for October! I would never have thought about strawberries before - yumm!! I am definitely a novice sugar cooker. I need to make some in the next couple weeks and trying to tell myself it won't be that bad. Let me know how your experience goes! I was pretty intimidated, and yes, I screwed it up, but at least I got through and learned something new! That's it, I am SOOO putting apples in a batch of pretzel dough this month. And I agree, they'd be fantastic coated in cinnamon-sugar! I want to try this one again with the cinnamon sugar coating - I think that would be the perfect finishing touch to these! This sounds so good. I love the sound of caramel cream cheese dip. Rebekah, I think it is so funny how often our recipes are so similar. Great minds!! :D Caramel apples and warm pillowy pretzels - how can you go wrong! I love how you incorporated the apples into the dough!! I can't wait to give that a try! They look delic! Thanks Lauren! I loved the little bites of apple mixed in! Next time I'll play with it a little more and incorporate the apples earlier on before the first rise - I wasn't sure if that would affect it (the rise) or not so didn't do it this time.